As it's almost the weekend it seems to perfect day to turn our thoughts to getting away from it all and taking a break, maybe somewhere overseas, like Turkey for instance. 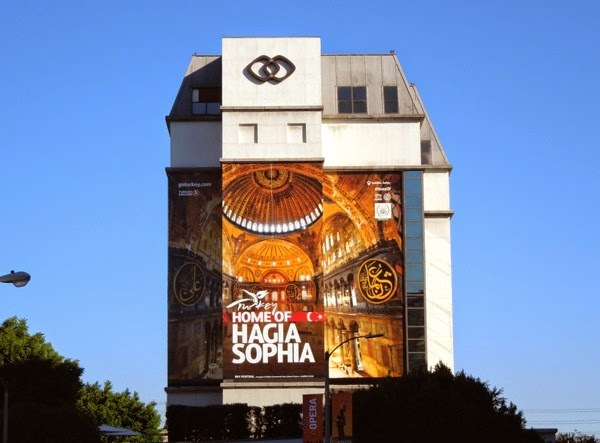 This super-sized tourism billboard for Turkey is like a ray of sunshine, with some promise of a little romance, although the 'Be our guest' tagline always reminds Daily Billboard of Disney's Beauty and the Beast song. 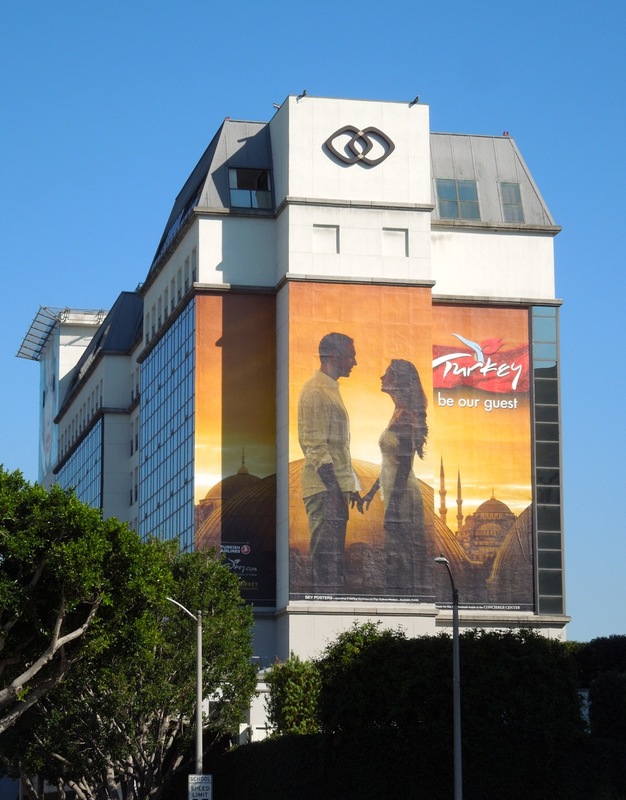 Here's another giant billboard for Turkish tourism from last March 2012, spotted on the side of the Mondrian Hotel along Sunset Boulevard, which puts the emphasis more on adventure and exploring. 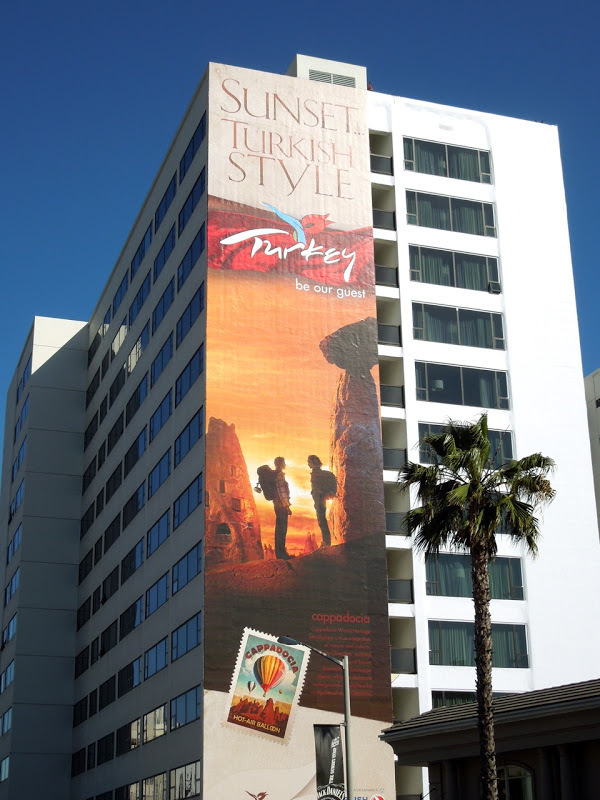 Meanwhile this recent Turkey travel creative was spied adorning the side of L.A.'s Sofitel Hotel along Beverly Boulevard on February 26, 2013. 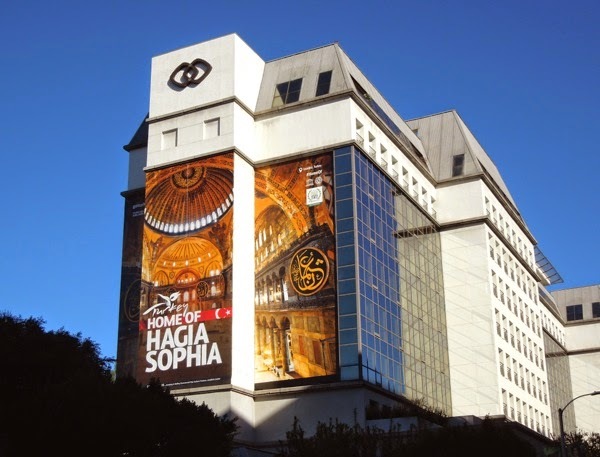 For more examples of inspiring tourism and travel billboards, check out these Visit Britain 2012 billboards and Disney's Aulani Hawaiian resort billboards. 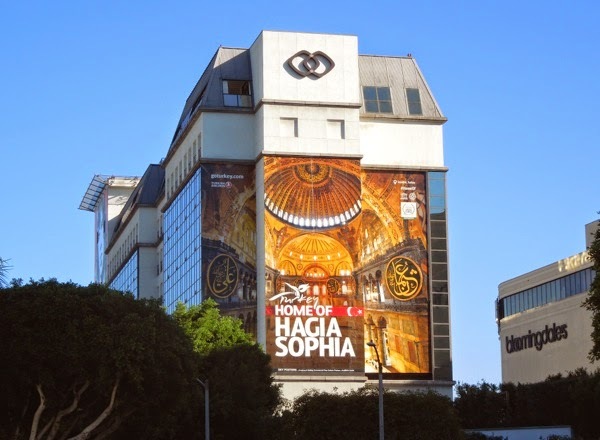 UPDATED: Turkey is back in the skies of L.A. in this same super-sized location along Beverly Boulevard using the architectural beauty of the Hagia Sophia in Istanbul in its advertising. 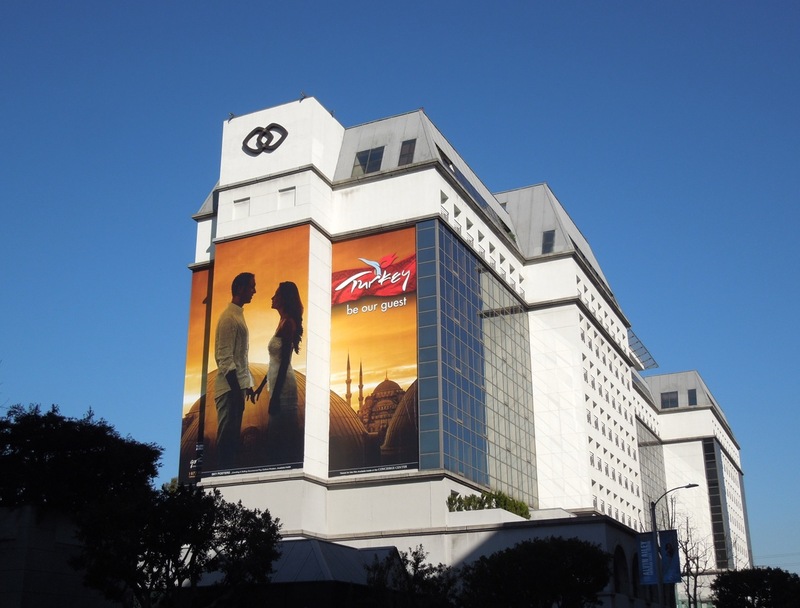 This giant billboard, taking a different approach from the previous romance creative, was snapped on November 21, 2014.